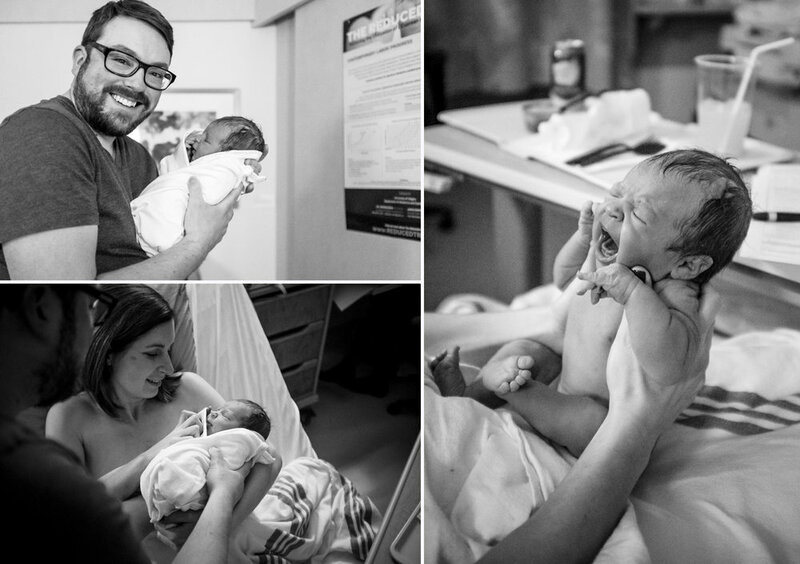 Photographing a birth at 41 weeks pregnant myself was not something I'd planned on doing. I'm planning to try and book a few more birth sessions this year, but only a few. :P They are extra hard to juggle when you have little kids at home. Being on call for about a month is so strange for me.. Its hard enough when its with my own birth! Anyways, I was thrilled to be able to make it for Maeve's entrance to our world. I always feel so privilaged to be invited into such a sacred moment in a families life. Witnessing a couple work as a team and being reminded of how powerful our bodies are as women is something incredible to see, let alone photograph. There is so much to cature during this time, the time seems to stand still and fly by at the same time. Congratulations on your beautiful little girl. She's the perfect sister for Rowan. Newer PostScade family update - We're a Family of Five! Older PostWork life balance out the window!